Govt of India's secret agencies in league with Hindu terrorist organisation the RSS have been conspiring communal riots in Punjab with a view to divide the Punjabis and 'thus counter the Khalistan movement.' Initially (right after 1947) they tried some urban Hindu castes to rise against Sikhs.The Hindutava met with a partial success only. The urban Hindu refused to be violent though their minds were poisoned against Sikhs. After 1980 or so the Hindutava tried to field some dalit or depressed castes like the Balmikis and Ravidasias against Sikhs. In Nov 1984 at the time of Indira Gandhis killing some Balmikis were instigated to attack Sikhs in Gurdaspur but the Balmikis virtually refused to be tools except one or two minor skirmishes. There have been several instances where the Balmikis and Ravidasias were pitted against Sikhs. The Aug. 2005 violence by Balmikis is an interesting case which will unfold the entire conspiracy. 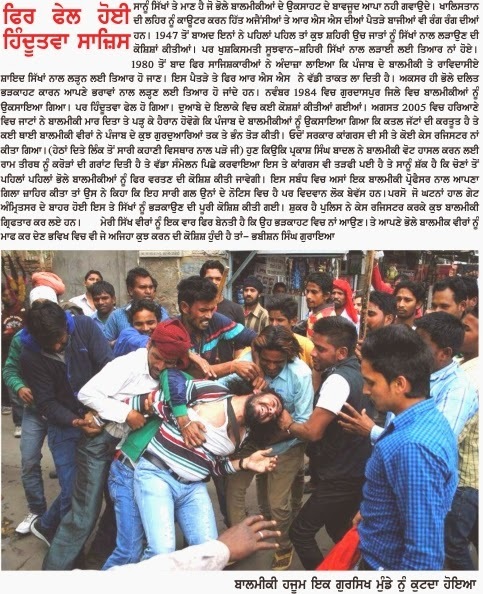 A Balmiki youth was murdered by Jaats of Tohana in Haryana. While the protest of Balmikis of Haryana was not noteworthy their brethren in Punjab were provoked to attack Gurdwaras in Jalandhar. The illiterate and innocent Balmikis were told that the murder in Tohana was the work of Jatts and Sikhs means Jatts and they attacked Sikh institutions. 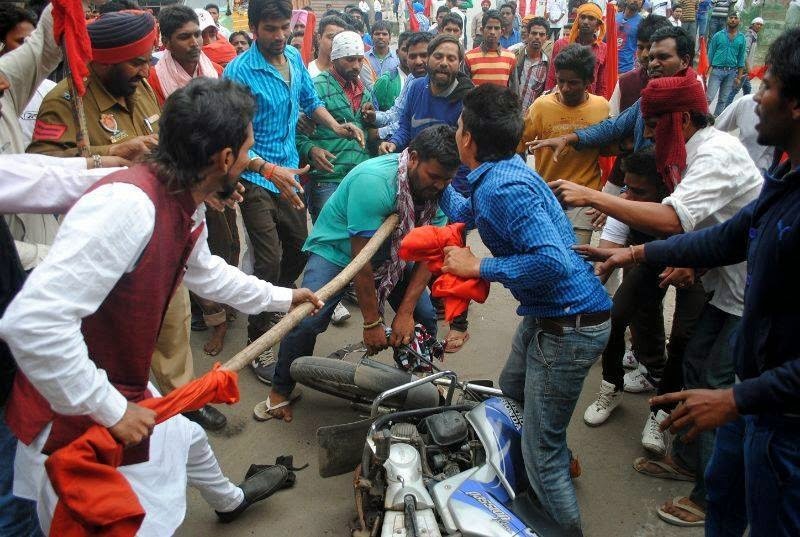 It was a Congress Govt in Punjab then and no legal action was taken against the violent mobs. 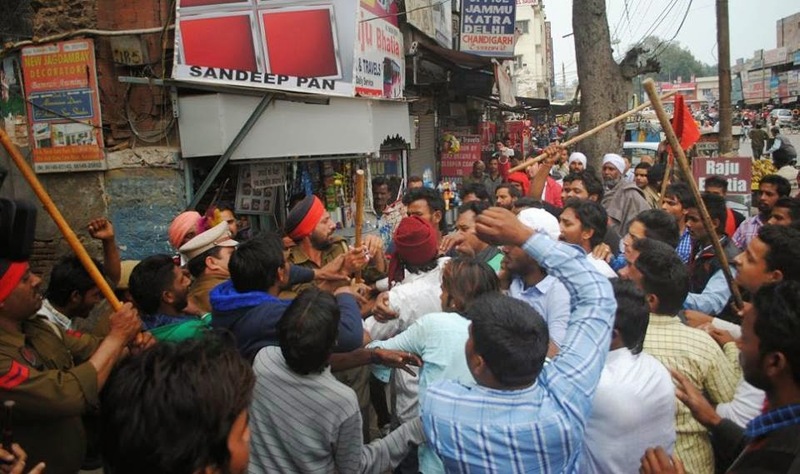 Since the Parliament elections in India are announced, we apprehend similar cases of provocation of mob violence might be witnessed in coming weeks. An important related development has also taken place where the Akali Govt in Punjab has tried to woo the Balmikis by announcing millions of grants for Ram Tirath, the Congress might not take this lightly as Balmikis and Ravidasias are considered as traditional vote bank of Congress. We are proud of the Sikh community which have not taken law into their hands despite provocation by innocent Balmikis. We urge the Sikhs to maintain this manly trait and avoid retaliation at any cost. We are proud of them. The Balmikis and Ravidasias are our brothers though these innocent are being provoked by Hindutava. Brave people never attack the week. We request the respective leaders of Balmikis and Ravidasias to please dissuade the community against taking law into their hands. 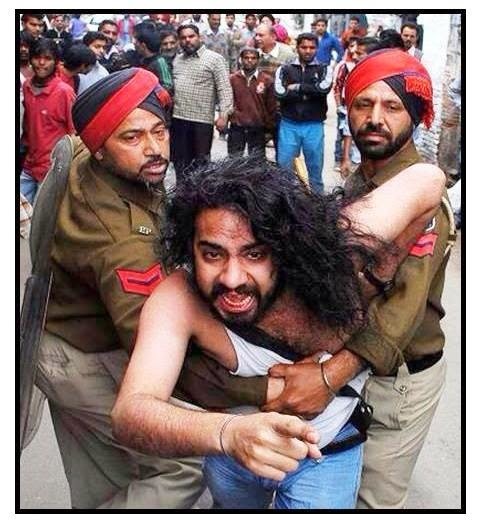 Balmikis attacking an innocent and unarmed Sikhs. Remember a brave community will never attack a helpless man.